The design for this wallet came out of one of those more awkward moments that happens in hospitals. Ok so you probably don't all know this awkward moment but if you are a student doctor, so maybe even just one of my readers out there, you will be able to sympathise. During morning ward rounds sometimes you have a really nice bunch of chill doctors who are like "let's go get coffee" - and I'm a girl and I usually don't have pockets in my skirts (which I should remedy as I know how to sew but I digress), so it's all like AWKWARD! Yes in capitals as it gets very awkward as you have to make up an excuse to leave (like an imaginary tutorial) otherwise they will shout you coffee and you will be all like awww...thanks...now this is weird...because you are so insistent and you barely know my name and there is 5 of us to buy coffee for, and we have to sit and chat and fill in the awkward silences whilst I drink a coffee you bought me even though I don't like coffee. END STORY. 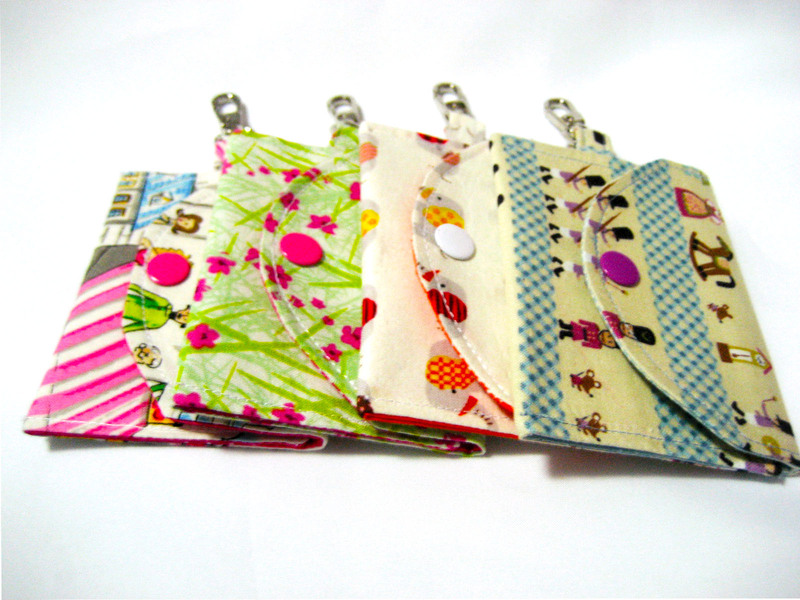 ANYWAYS the best part about these cute pouches is that they not only have space for money and coffee cards and all manner of other things like hair pins but they also have a clear ID pocket for your schmancy workplace ID. Which you can pair up with a matching badge reel or a lanyard (which I will make next when supplies come in). 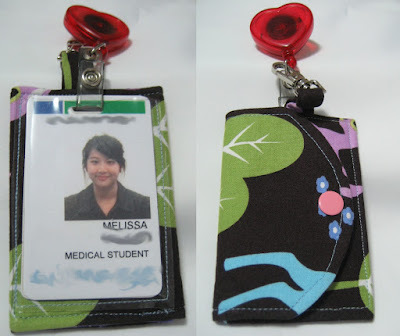 Secondly, the hook on the top of this ID holder instead of a ring means that you can latch it onto a belt loop or basically on to anything else like a button hole - you know on you jacket not on your pants or anything because that would just make things more awkward. If you guys would like a tutorial for this snap pouch + ID holder, if only to avoid awkward moments when you get caught without money or other essentials - just drop me a message or leave me a comment and I will get on asap it as I plan on making a few more soon. Mel - a tutorial of this would be great! As part of my job, I have to photograph events and I never wear pants that have pockets, therefore never have a place for the key to my car. I also need to have my badge displayed at all times, seeing I work in schools. 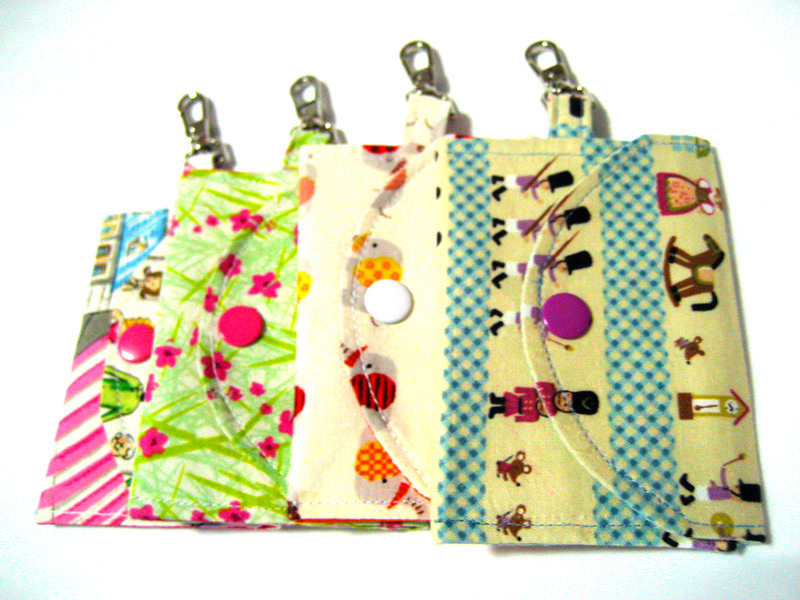 Having a fun pouch that displays my ID and would hold my key would be great! As teacher, I would lovea tutorial for this! Would LOVE a tutorial - I'd love to make these for my whole team! 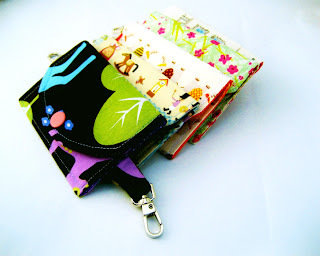 Thanks for stopping by and commenting, the free tutorial can be found here (http://mel-allwrappedup.blogspot.com.au/2011/10/sandi-id-wallet-tutorial-snap-pouch.html). I would love to see the finished version of the ID wallet that you make.